Bayern Munich have drawn Borussia Dortmund in the DFB-Pokal semi-finals in a repeat of last season’s final. The Bavarians reached the last four in dramatic circumstances on Wednesday after Bayer Leverkusen took them to penalties with the scores level at 0-0 after 120 minutes, with Manuel Neuer saving Josip Drmic’s effort before Thiago Alcantara scored their fifth and final spot-kick. That triumph at the BayArena has set up a home clash at the Allianz Arena with Borussia Dortmund, whom they defeated in the final in 2013-14, after Jurgen Klopp’s men needed extra-time to edge past Hoffenheim with a 3-2 win secured with a cracking Sebastian Kehl strike. “Dortmund are a top team,” Guardiola told ARD when asked about facing BVB on April 28. “To win the cup one must beat everybody. Third-tier club Arminia Bielefeld continue their fairytale run with a home tie against high-flying Bundesliga club Wolfsburg on April 29. 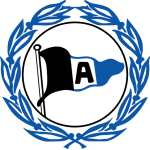 Arminia, who were relegated from 2. 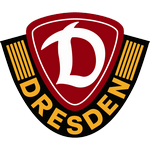 Bundesliga last season, caused a major upset in the quarter-finals on Wednesday by eliminating Bundesliga heavyweights Borussia Monchengladbach on penalties.